Invest in hopethroughlifesaving research.Together we can eradicatechildhood cancers. “Your child has cancer,” might be the most chilling words parents can hear, and yet this year alone this devastating message will be delivered to more than 260,000 families. Children's Cancer Research Fund is here to help by investing in lifesaving, leading-edge research and patient care programs for those affected by childhood cancers and blood disorders. 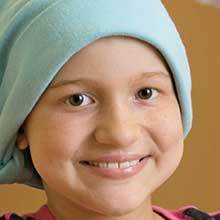 Help us bring better outcomes to children during and after their cancer treatment. Sign Up Today so we can tell you more. Ways to Help a Family with a Child with Cancer. Any help is appreciated and can go a long way to a family in need of emotional support. With you, we can continue to build hope, and bring cures to kids with cancer by investing time, expertise and resources to our cause. 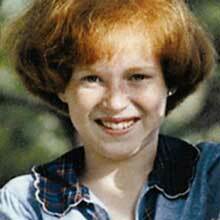 In 1979, 13-year old Katie Hageboeck, from Wayzata, was nearing the end of her 16-month battle with leukemia. Knowing she was losing her battle, she asked that the money she’d been saving for a 10-speed bicycle be donated to a little-known fund for the University of Minnesota called Children’s Cancer Research Fund. 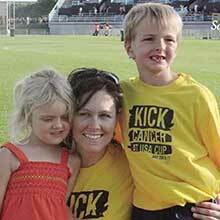 Her dream was for a cure to be found so that kids who followed her would survive. A little over a year after Katie’s passing, her parents, Diana and Norm, and friends of the family organized what they thought was a one-time benefit fundraiser for this fund to honor Katie’s dying wish. Thirty two years later, this “Dawn of a Dream” benefit is still taking place, last year raising nearly $1.2 million. Children's Cancer Research Fund has grown from a small grassroots fundraiser into a national non-profit,\ with hundreds of thousands of individual donors, along with corporate and foundation partners, who have given nearly $80 million to pediatric hematology/oncology and blood and marrow transplantation physicians/researchers at the University of Minnesota. Our ROI equalsyoung lives saved. Founded and loyally supported by families, Children's Cancer Research Fund invests in lifesaving research and patient care programs that set the standard for treating children with childhood cancer and blood disorders. From finding the causes of these rare diseases, to bringing innovative treatments to young patients, to supporting cancer survivors post-treatment, Children's Cancer Research Fund is committed to bringing hope, cures and health to young patients and their families. ©2014 Children's Cancer Research Fund • Please note: All information presented on childrenscancer.org is for informational purposes only. It is not specific medical advice for any individual.